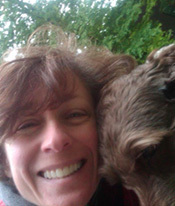 Lisa works in Employee Communications at IDEXX as a writer where she covers many pet-related, health and community articles and she joined the Pet Health Network team in 2015. Lisa’s Labradoodle, Moxie, recently passed away after 15+ glorious and goofy years. Moxie is the reason she got to know a leading veterinarian who showed her the very best in pet health care, a professional relationship she still treasures and hopes to re-establish with a new dog soon.